This past weekend the grounds of the Royal Military College of Canada (RMCC)in Kingston were filled with cadets, old and new, to reminisce in old memories while making new ones at the 2015 Reunion Weekend. 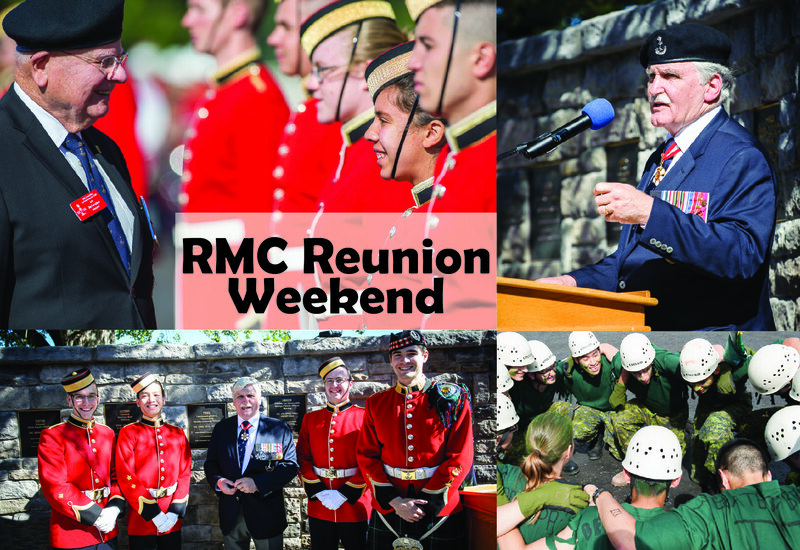 “Reunion Weekend is a time-honoured tradition that brings Ex-Cadets from across the country and the world back to RMCC to unite with their former classmates and current students for a weekend of observance, reflection, and celebration. As Commandant of the College, it’s a tremendous pleasure for me to witness the energy that exudes from the first year students as they reach this first of many milestones, and for me to take part in each of these poignant events throughout the weekend,” said Brigadier-General Sean Friday, Commandant of the Royal Military College of Canada. Reunion Weekend was kick-started with a challenging obstacle course on Friday, Sept. 25 designed for first-year cadets. The cadets, from 12 different Squadrons, must complete 12 grueling obstacles while being evaluated for sportsmanship, teamwork, creativity and of course speed. On Friday afternoon, CBC Television personality Rick Mercer was at the campus and participated in the obstacle course. After completing the course, the first year Officer Cadets were presented with coins by members of the “Old Brigade”, a group of ex-cadets who entered the college 50 or more years ago. The next item on the agenda, which took place Saturday morning was the traditional Badging Parade. This ceremony officially welcomes first-year cadets into their squadrons after the successful conclusion of the First Year Orientation Program (FYOP). They are presented with their RMCC cap-badges by ex-cadets. One of the highlights of Reunion Weekend is on Saturday afternoon with the presentation of this year’s inductees to the Wall of Honour. The Wall of Honour, donated by the Class of 1963, recognizes ex-cadets who went onto making notable contributions to Canada after graduating from RMCC. The inductees are listed on commemorative plaques on a six foot high and 132-inch long limestone wall. This year three ex-cadets were added to the existing 21. This first inductee this year was Lt.Gen. the Honourable Romeo Dallaire. Dallaire was a Force Commander for the UN Assistance Mission for Rwanda, Command of Land Force Quebec Area and Special Advisor to the Chief of the Defence Staff on Professional Development. He is an Officer of the Order of Canada, retired senator and best-selling author. The second inductee was Canada’s sixth Chief of the Defence Staff, the late General Ramsey Withers. Withers served in Korea, was Deputy Minister of Transport Canada and wrote the Wither’s Report, a document that guides the educational courses of the RMCC. He was awarded with the Commissioner’s Award of the Northwest Territories and the Outstanding Achievement Award of the Public Service of Canada. This year’s third inductee was Second World War veteran the late Col. George Stanley. 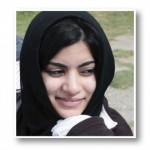 Stanley was a historian, author and taught twenty years at the RMCC. He was a Companion of the Order of Canada and Lieutenant Governor of New Brunswick. In 1964, Stanley submitted the design for what was to be adopted as the Canadian Flag, based off of the RMCC flag. The final event of Reunion Weekend is the commemorative March Through the Arch. This ceremony recognizes the fallen members of the college, including those that lost their lives in combat.